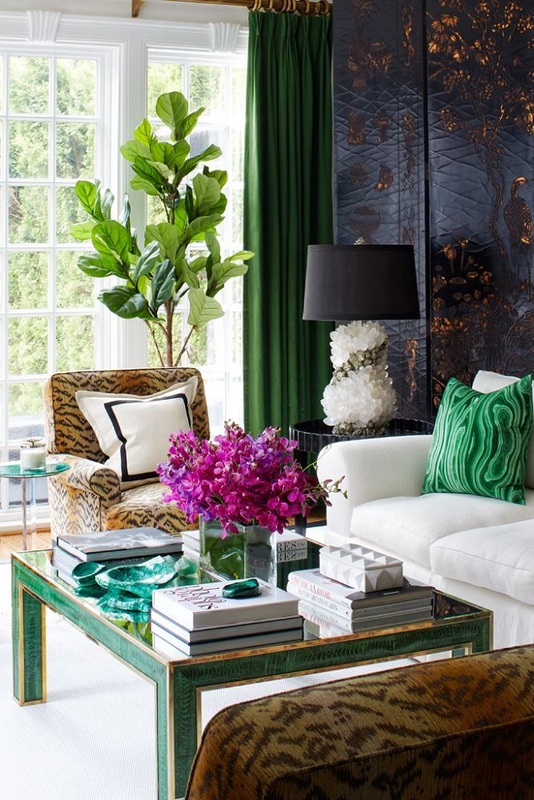 Mix and Chic: Inside a bold, striking and glamorous Toronto home! 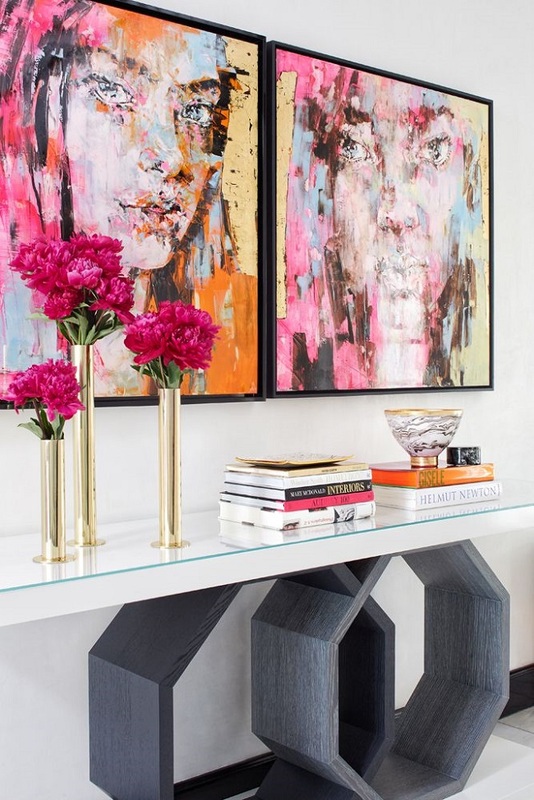 Inside a bold, striking and glamorous Toronto home! 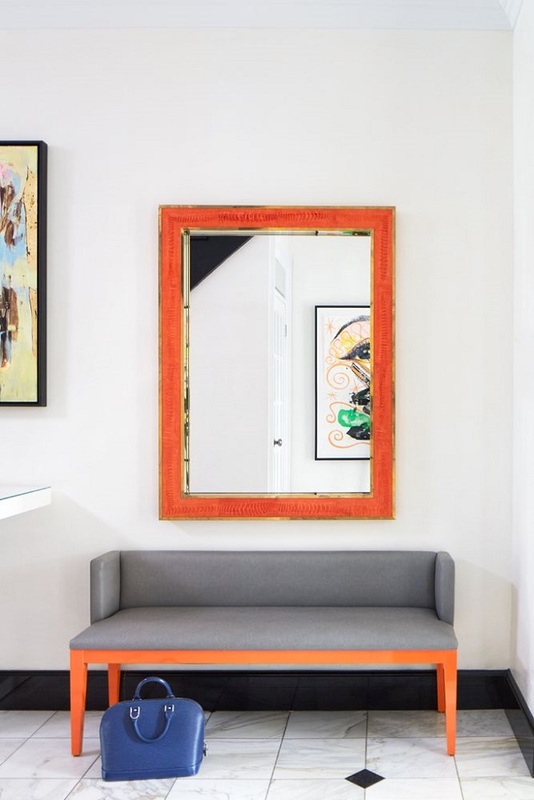 This gorgeous Toronto home is designed by Anne Hepfer for a client with an untamed passion for color. 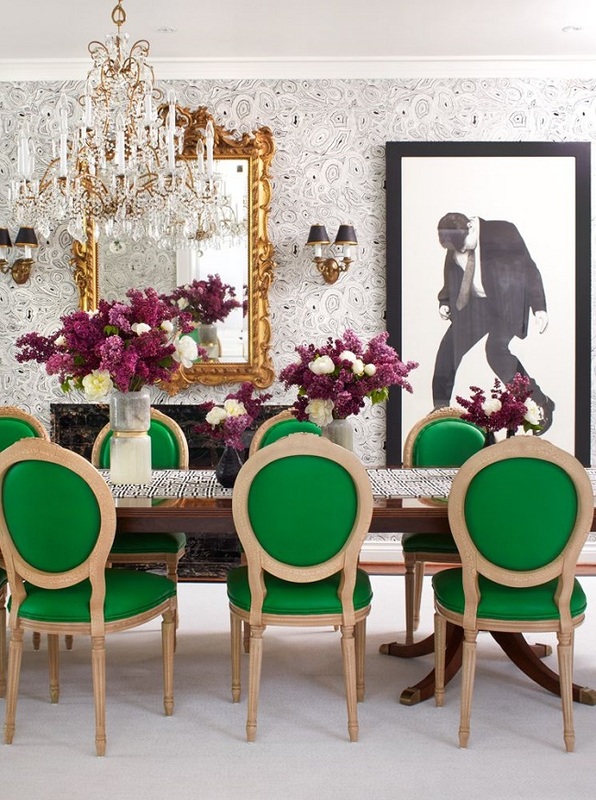 Using a "more is more" approach to design, this Forest Hill abode results in a chic Paris-meets-Hollywood Regency vibe. Intrigued? Let's check it out! 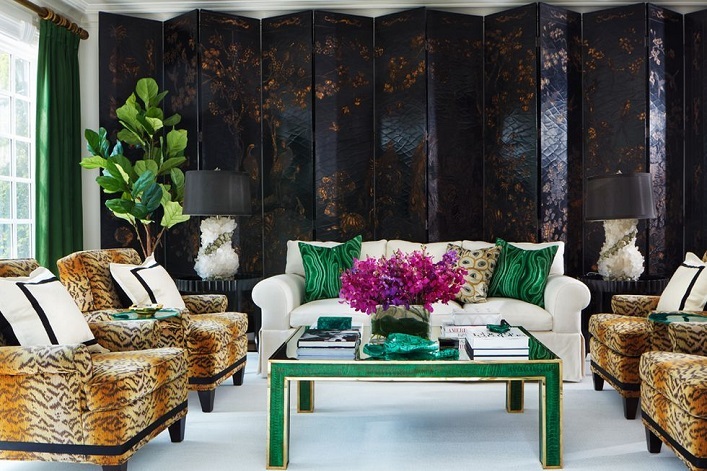 A combination of antique Japanese black lacquered screen, rock crystal lamps, ostrich leather coffee table, Scalamandre tiger print chairs, malachite-inspired wallpaper, green leather chairs and modern artwork is the key to elevate this home from ordinary to extraordinary! 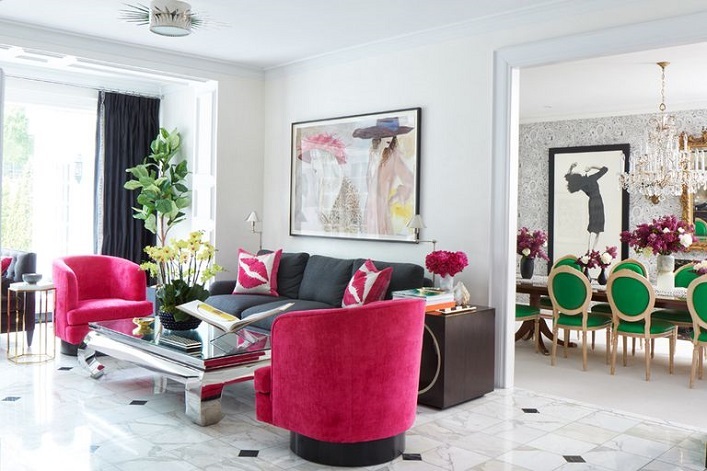 With striking colors, bold patterns, interesting textures and delightful details everywhere, this abode oozes style, vibrancy and drama. 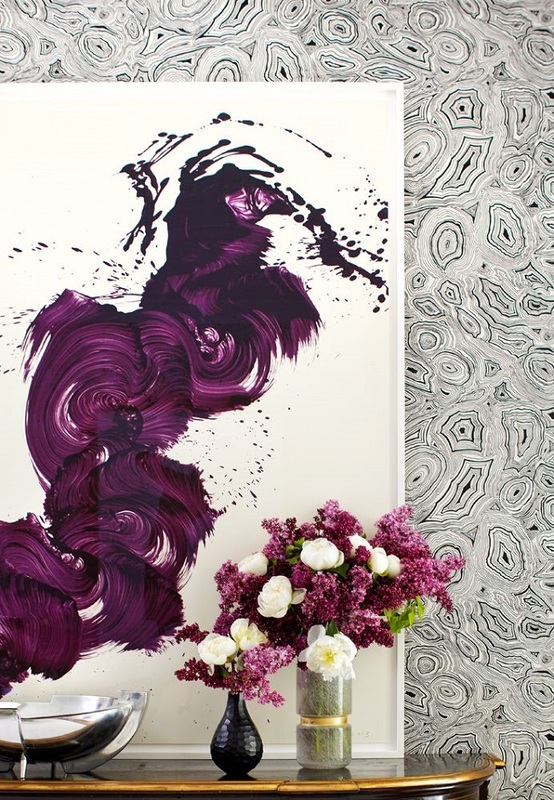 Such a beautifully layered, luxurious and glamorous residence, what is not to be inspired by? What are your thoughts? 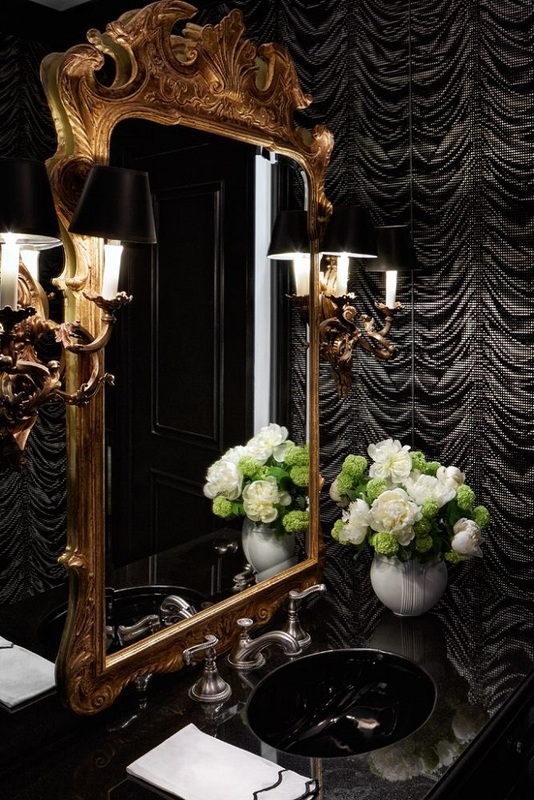 Although I like the powder room, the rest of the home would not be livable for me. The clash of harsh colors would jar my sense of well-being. But, hey, we're all different! I usually HATE colour, but this is done in such a tasteful way that I am in love! The Japanese screen is gorgeous! The art work is phanominal.